Disclaimer: The following is an excerpt from my personal blog but still outlines two 'Good People' heading a good cause. The interview format seen with Blake of Seed and Paul of Grow Calgary is a better representation of the format to expect of future features. 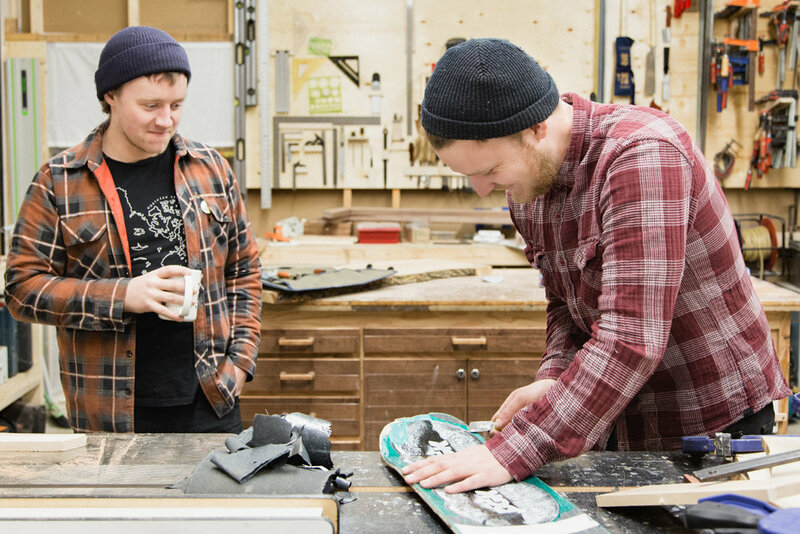 A behind-the-scenes look at the two brothers converting broken skateboards into furniture and art. Adrian Martinus is a woodworking company created by the Pool brothers Adrian and Martinus... get it? The brothers specialize in reclaimed wood that often comes in the form of broken skateboards. With my recent motivation to shoot interesting locals I was excited to have found another opportunity to shoot a duo doing rad things in the city.